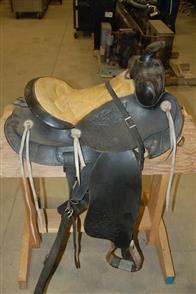 Pictures above are merely a summary of the tack included in this sale, individual lots may contain different items. 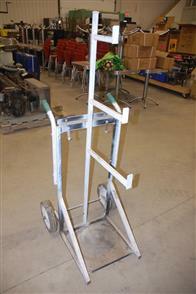 Please refer to the lots below for complete contents. 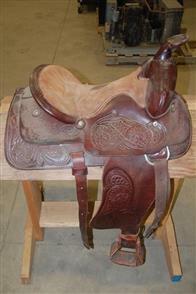 There are so many Saddles and Tack from Raymond's Estate, that we thought it only fair to give it it's own event to do it justice! 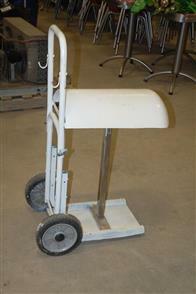 Enjoy, and start bidding! 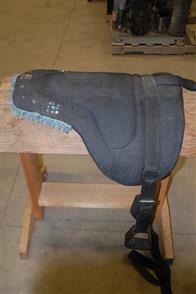 Lot 4077 - Denim Horse Blanket, Mats, Sheets, Saddle Pads, Etc. 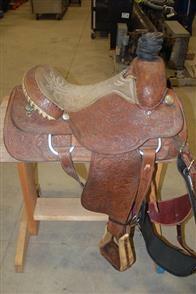 Lot 4116 - Cinches, Collars, Breast Collars, Etc. 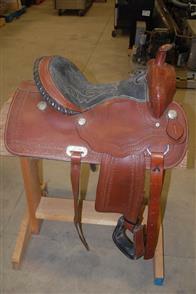 Lot 4117 - Cinches, Straps, Etc. 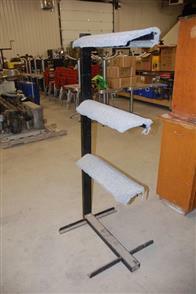 Lot 4125 - Assorted Netting, Ropes, Rope Halter, Twine, Etc. 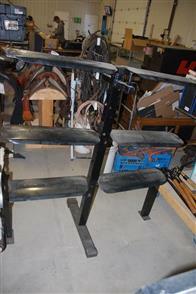 Lot 4126 - Assorted Leather Straps, Pieces, Etc. 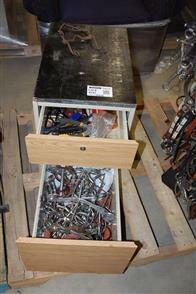 Lot 4159 - Box Of Misc. 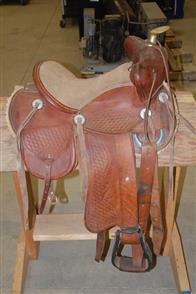 Leather Reins, Leads, Etc. Lot 4174 - 3 Nose Bands, 2 Misc. 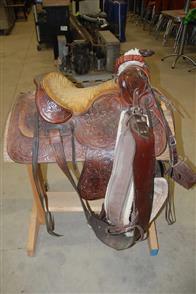 Lot 4204 - Assorted Leather Pieces, Stirrups, And Misc. 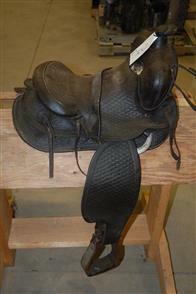 Lot 4216 - Hair Clipper, Electric Cords, Leather Halter Parts, Feed Bag, Etc. 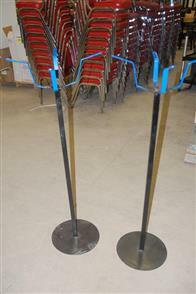 Lot 4221 - 2 Lariats, 2 Small Rope Tiers, Blankets, Etc. 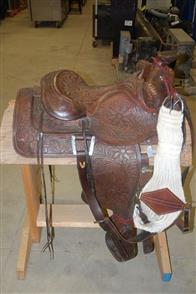 Lot 4223 - Lariat, Small Rope Tier, Shanks, Etc. 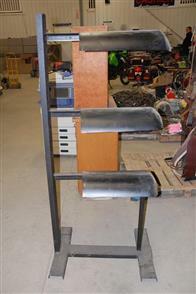 Lot 4228 - Stirrups And Misc. 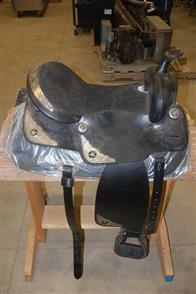 Lot 4229 - 2 Feed Bags, Muzzle, Cow Metal Poke, Rope, Straps, Etc. 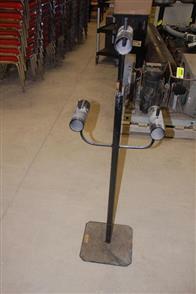 Lot 4236 - Wood Cabinet With Misc.